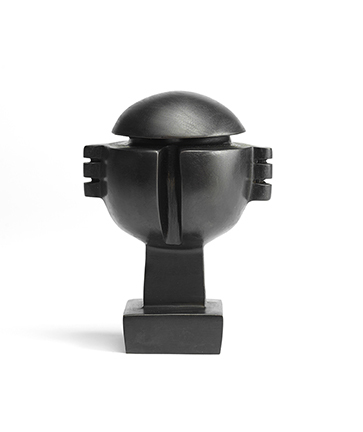 Barbara Edwards Contemporaryis pleased to present our first solo exhibition by renowned artist, Sorel Etrog (1933 – 2014). 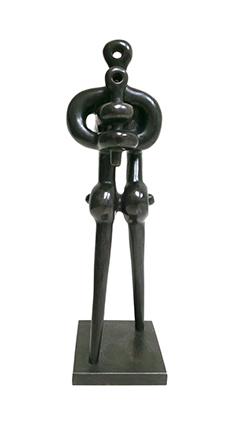 Sorel Etrog: The Existentialist explores the influence of existential philosophy on the artist and the recurrence of visual metaphors depicting the dichotomies of freedom and restraint, despair and hope, and life and death, which were so central to existentialist thought. Etrog’s early life experience as a Romanian Jew fleeing persecution in Nazi-allied Romania, clearly had an impact on his understanding of the world as absurd and meaningless, in which the individual’s freedom of consciousness and choice of action were the only variable. 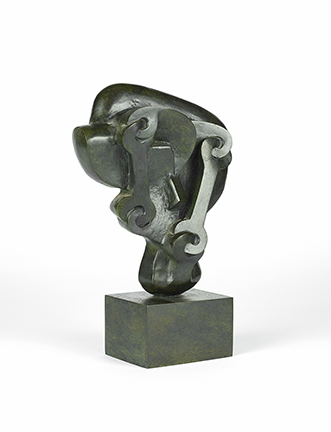 One of Etrog’s most profound expressions of existential ambiguity is the “Link” motif. 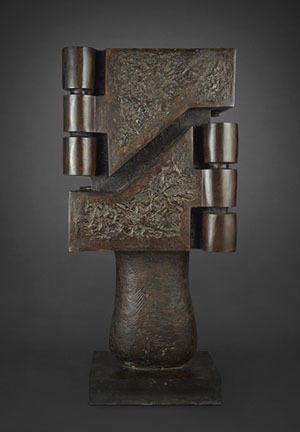 The link for Etrog symbolized movement as a metaphor for life itself, but being that the links are connected, they hold the promise of freedom and restraint at once. 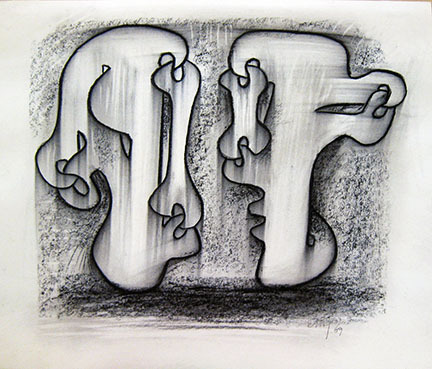 This contradiction was one that fascinated existential writers and thinkers such as Samuel Beckett and Eugène Ionesco, Etrog’s friends and collaborators. 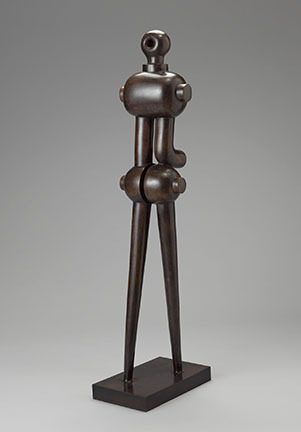 In developing his visual metaphor further, the artist incorporated the “Hinge” as a conduit of movement as in Steptease (1976). 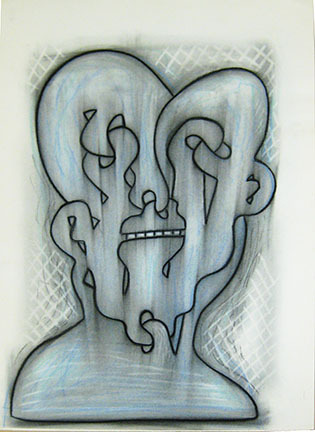 The hinge also lends itself to the expression of the interiority of the human psyche as in Introvert (1975-76). 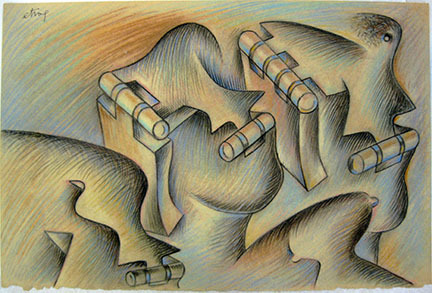 bronze, edition of 5, 51” x 25” x 18"
pastel and charcoal on paper, 12" x 18"
charcoal on paper, 14" x 16.75"
pastel and charcoal on paper, 24" x 18"